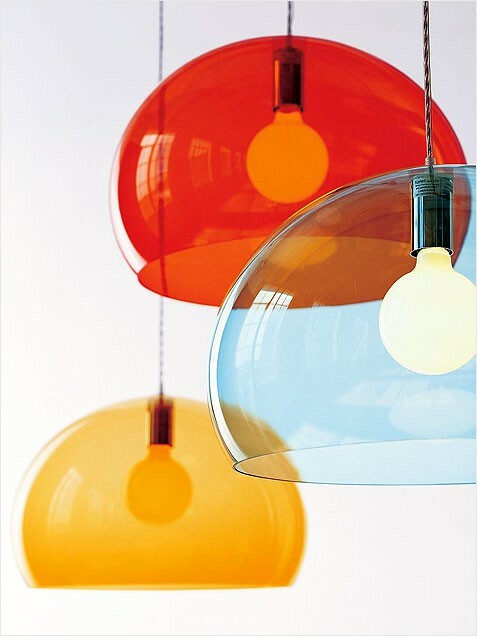 These glossy pendants in playful primary hues keep it feeling bright inside even when it’s dreary outdoors. 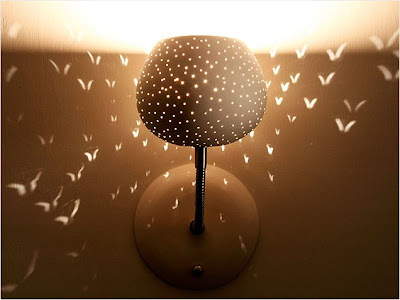 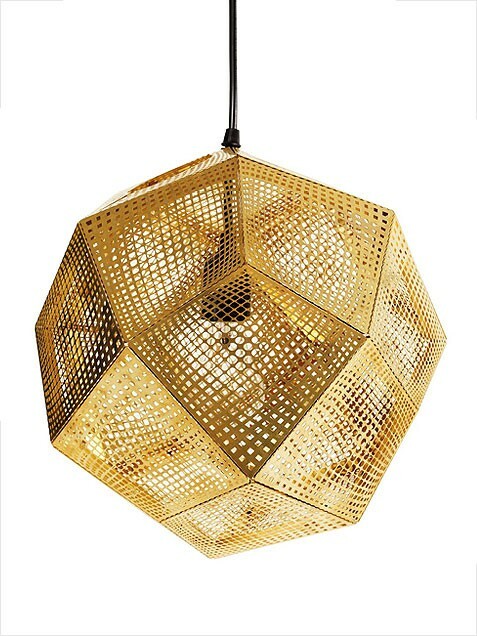 Made of intricately-etched brass, this design gives off a warm, honey-colored light while casting interesting shadows. 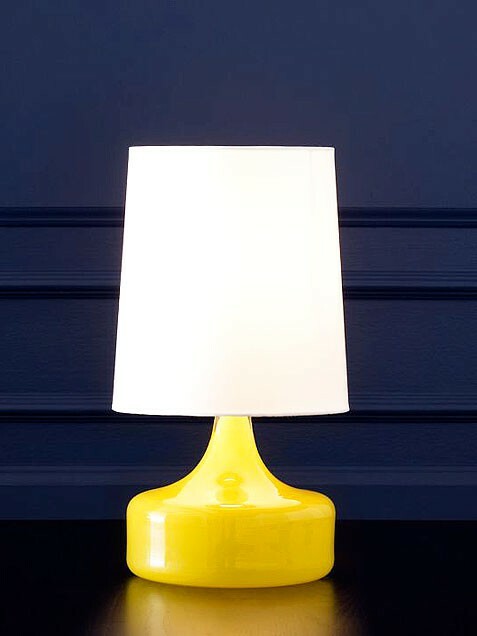 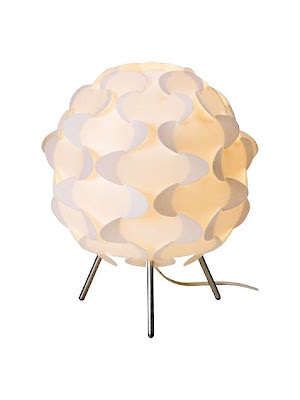 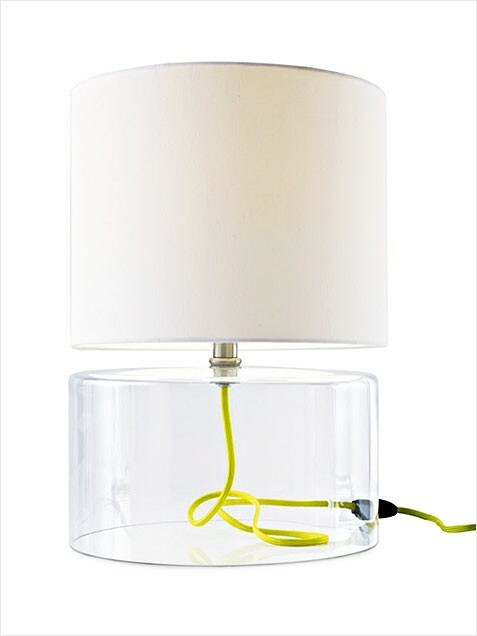 The lemony yellow hue of this blown-glass table lamp will brighten even the gloomiest apartment. 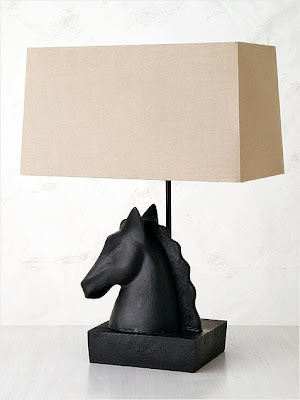 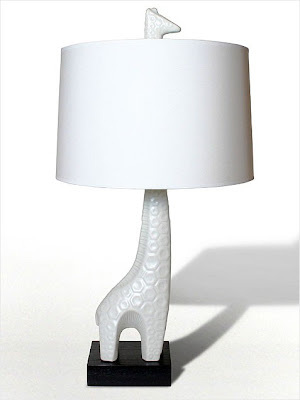 Both dignified and quirky, this cast aluminum piece comes topped with a gold-lined shade that gives off a gilded glow. 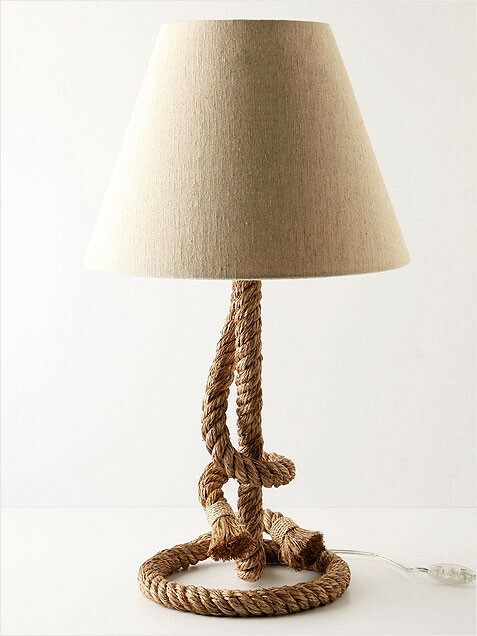 This rustic table topper, with a lasso of rope wrapping its stem, is ideal for outfitting a country getaway. 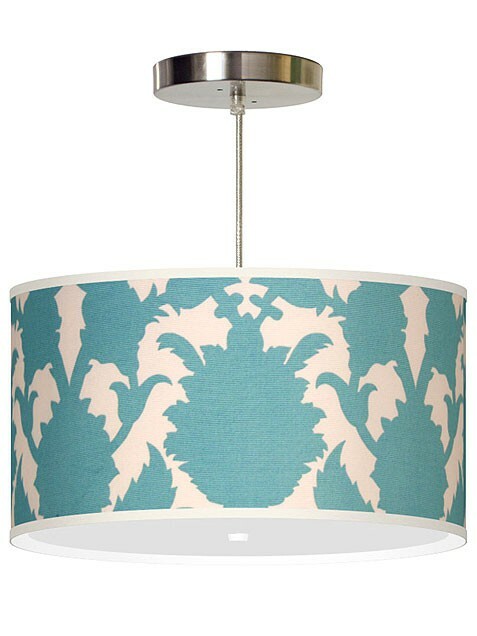 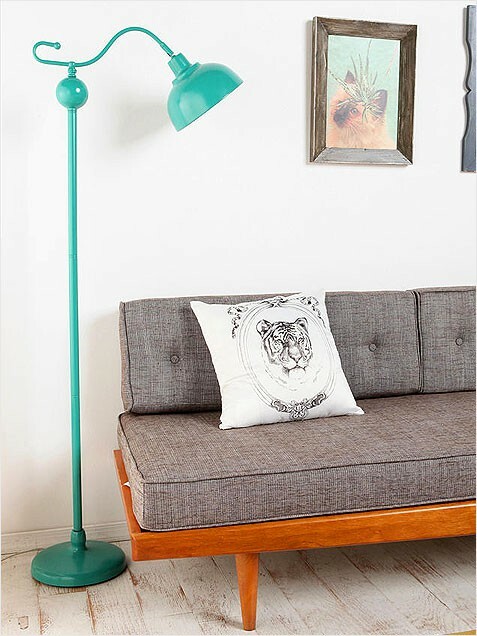 It comes in a burnished gold and a sunflower yellow, but we’ve fallen for the turquoise version, perfect for lighting up a living area. 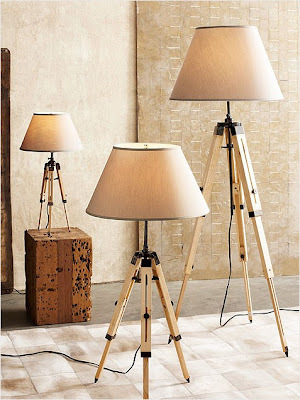 Based on turn-of-the-century surveyors’ tripods, these floor lamps come in raw pine with a nickel trim, and look like they should be used to illuminate your treasure map. We love him for his melamine plates and witty textiles, and Thomas Paul further earns our affection with his pendants in a variety of shapes and sweet prints. 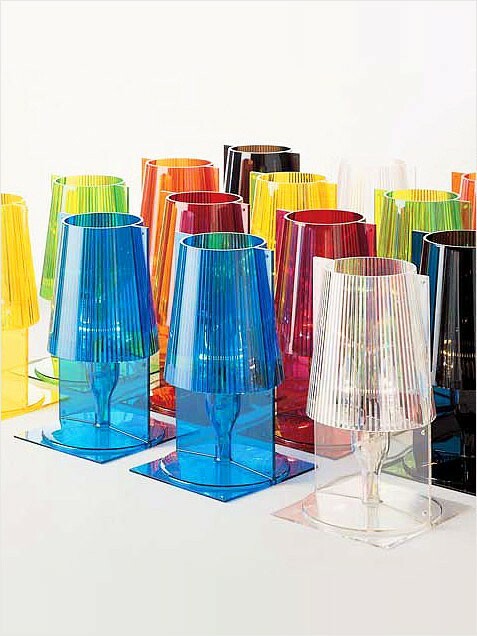 Ideal for dressing up a dreary desk, these candy-colored confections cast a subtle glow through their beveled shades. 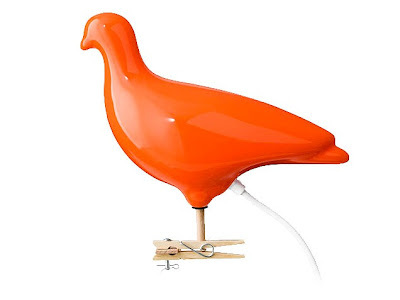 This twee topper can perch on a bookshelf, act as a reading lamp or serve as a nightlight to a budding birdwatcher. 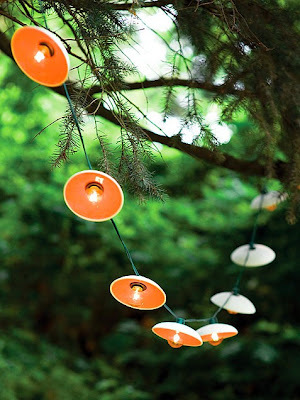 Think of these as the grown up version of the Christmas lights you used to hang in your college dorm room. Let them soak your space in a cozy glow, then string them up outside when the weather warms. 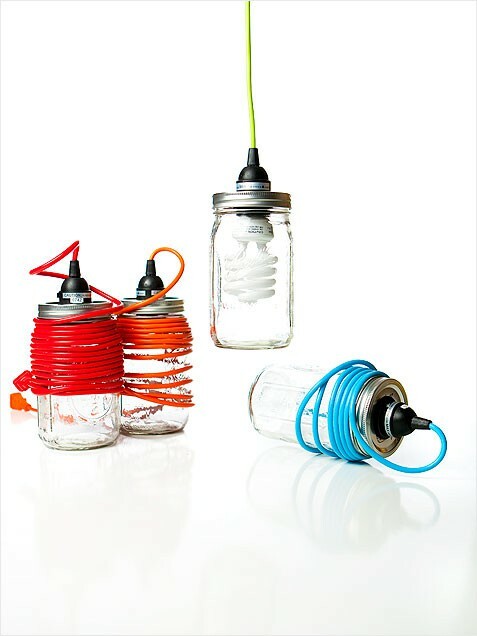 With their colorful plugs and creative use of Mason jars, these lanterns have a definite DIY aesthetic. This playful number, made of fired stoneware with a glossy glaze, will be right at home in your little one’s nursery. 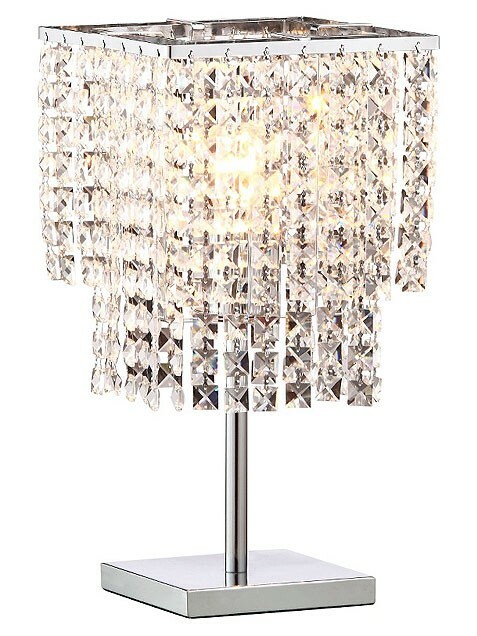 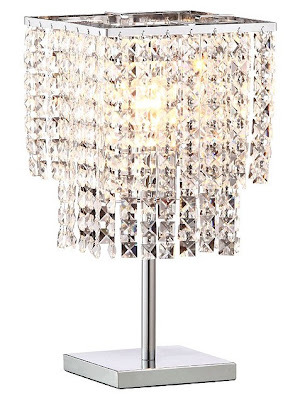 Cascades of crystals and a gleaming chrome base make for a sparkling addition to a glamorous abode. 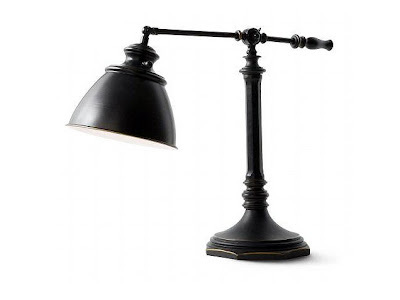 This old-school pharmacy lamp, with its oil-rubbed bronze finish, can add distinction to your bedside table or personality to your cubicle. 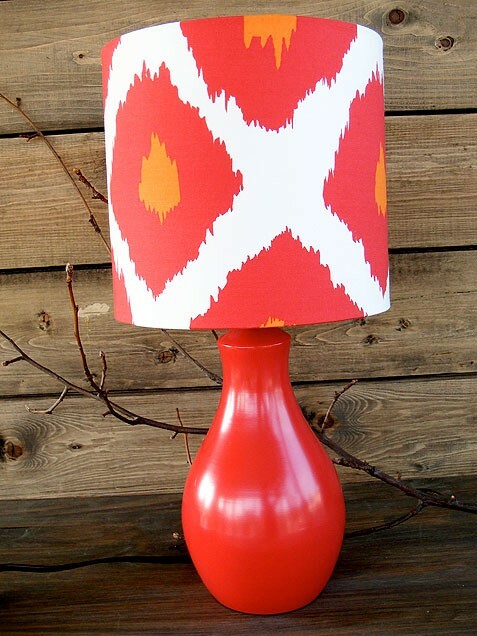 Etsy’s MDesignTree shop combines antiques, found items and modern fabrics to create one-of-a-kind home décor, like this old-fashioned ceramic lamp with its of-the-moment ikat shade. 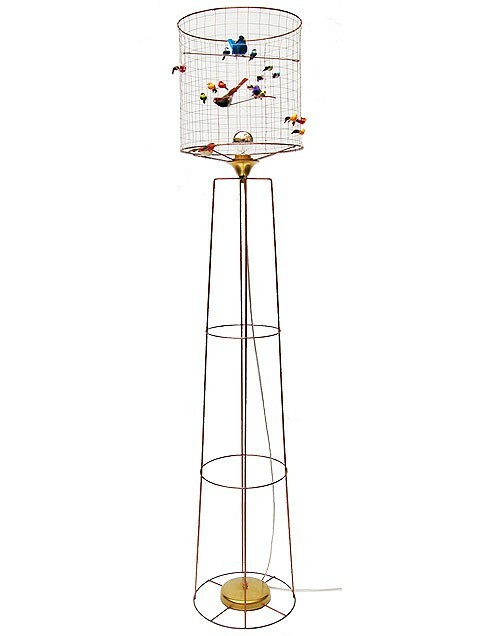 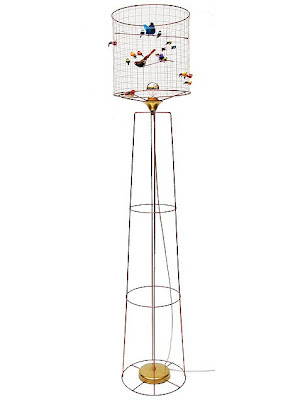 With its birdcage topper with decorative sparrows inside, if this whimsical floor lamp from Parisian atelier Mathieu Challieres doesn’t beat your winter blues, we don’t know what will. 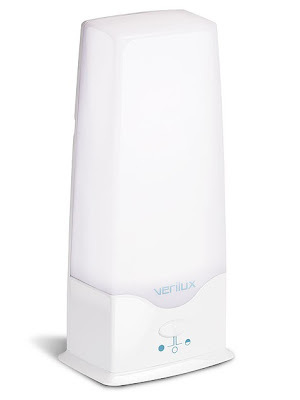 With the sun now setting at 4:30, make sure you get your vitamin D with these natural light-therapy lamps from Verilux, which are said to lift spirits, improve concentration and improve sleep patterns. This origami globe casts a soft glow -- and costs as much as lunch. 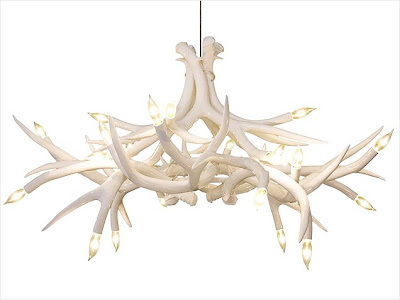 The price tag is high, but this dreamy chandelier, with its ceramic antler branches and classic flame-shaped light bulbs, just might be worth it. 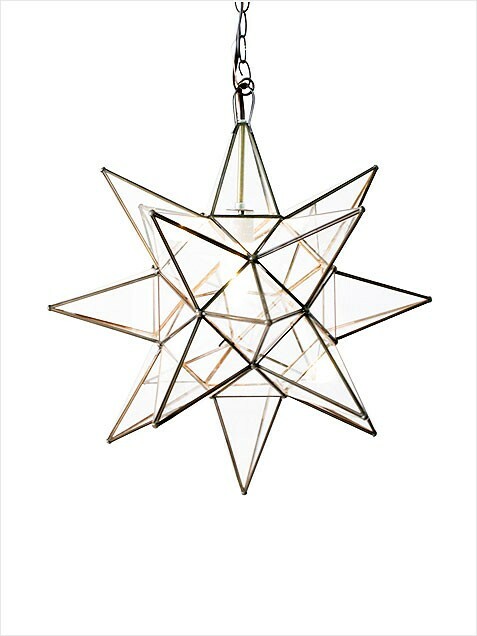 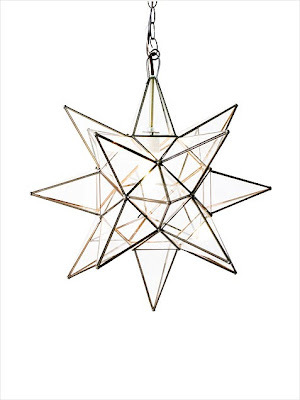 This angular chandelier adds some interest to an entryway -- and twinkles like the real thing. When you want to light up a room but don’t want the lamp to steal the show, this table topper from CB2 blends chicly into the background…except for the unexpected chartreuse cord. Turning on this shapely clay wall sconce casts butterfly-like patterns on the wall, and a touch dimmer allows you to adjust the brightness to your liking.